Ruby is a thief-in-training and a keeper of secrets—ones she doesn’t even know herself. 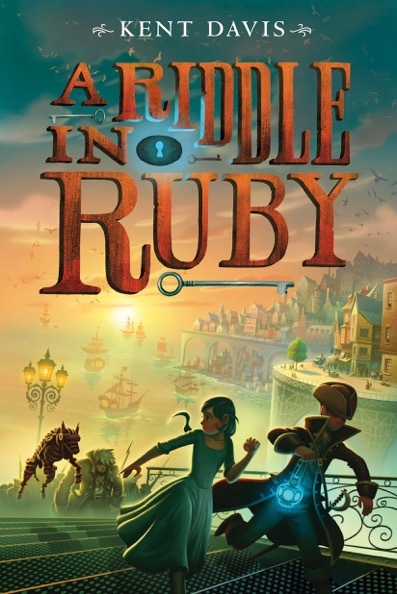 A Riddle in Ruby is the first book in a witty and fast-paced fantasy-adventure trilogy for fans for Jonathan Stroud, Septimus Heap, and The Very Nearly Honorable League of Pirates. Sparking fire. The wheel. The written word. Each changed the rules of our world forever. I have newly met a sister to these titans. Her name is Chemystry. For example, the poster above sneaks several pieces of information to readers. First, that these Tinkers are a sizeable operation—they have a compound not just in Boston and Philadelphi, but in New Jamestown, too, and they’re putting up posters looking for more recruits. Next, that a New Jamestown actually came to be, which tips the hat to the idea that in this timeline, the maps may be quite a bit different from ours. The last and arguably most important thing it allows me to do is put a “y” in alchemist. Messing with traditional spelling is second only in joy for me to performing Random Acts of Period Capitalization. 9th. Over Strident Objection from a Minority, Abigail Booker allowed to deliver her findings re: experimentation with Igneous Fluid. Cause: one part brilliant scholarship, another part Mlle. Booker’s Ferocious Thumping of Mr. Smathers, compounded by her threats of further physical exertions if not allowed to speak. Excellent talk. 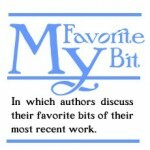 CHATSBOTTOM: Where is my carriage, Farnsworth? FARNSWORTH: It is somewhat Exploded, milord. FARNSWORTH: But Mr. Thunderfatch will no longer trouble your lordship. CHATSBOTTOM: Quite right. Good chap. The epigraphs also allowed me to tease this timeline’s history. 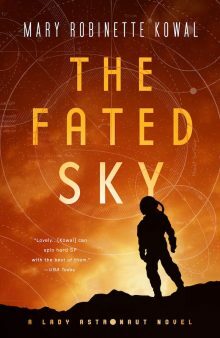 The action of the book takes place almost one hundred years after the event that sheared that timeline away from our own—the natural philosopher Sir Francis Bacon discovering the magical science of chemystry. Each of those years, just as in our own history, must have been jammed with potentially world-altering moments. I wanted readers to know that past events from that alternate timeline had a dramatic impact on the alchemy-driven, gearbeast-populated, on-the-cusp-of-an-industrial revolution 1718 into which they were diving. For example, inquisition-like trials for alchemists, presided over by the French academy. You gravely mistake our nature. We are neither witches nor warlocks. We are men and women of science who eat with you, study with you, pray with you. If the purges continue, however, then we are no longer your countrymen, and we will have no choice in our own defense but to seize our liberty. This country will suffer. Finally it was a question of precision over info dump. While it may be informative, a four-page treatise on the crop rotational practices of the Feggerventaven peoples in relation to the nutritious Rompopilio tuber really puts a crimp in narrative flow. On the other hand, I delight in mysterious hints and tantalizing references, fleeting glimpses of a setting iceberg lurking just below the textual surface. If I’m honest, though, the most compelling reason for tagging the epigraphs as my favorite bit is that they’ve been just so flipping fun to write! Crafting them turned into my writer’s diet equivalent of cheat days: pure delight and invention, without a shred of guilt. I hope the joy that I felt making them found its way onto the page, and that A Riddle in Ruby is the better for it. Kent Davis has spent most of his life making stories. He is an author, game designer, and actor. He lives with his wife and a wily dog-ninja named Bobo in Bozeman, Montana.